Welcome! 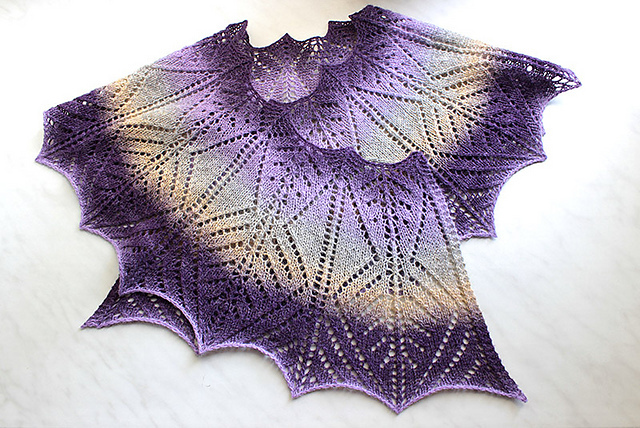 Join me in looking at a few of the new patterns in Knitty's Deep Fall 2015 issue. As usual, Knitty continues to be the free online magazine with patterns that we all love, and love to knit. This pattern is going to be a favorite with everyone who has ever fallen for a self striping yarn, then wanted to knit something more then plain stockinette stripe. This one in knit in strips, making the most of short striping yarn. Love the Swirl! Featuring cables with crispness and flair, you are going to love knitting these mitts. Fingerless mitts are a great introduction to knitting small diameter items, and these will be finished before winter ends. Cables! Great stitch definition makes this yarn a must. Also show casing cables, this cardigan uses waist shaping to show off your curves. Or make it look like you have some. Great stitch definition, and love the color. I don't think I would change anything, and that is saying something. Love it so much you get two pictures. Not must knits, but knits to keep in mind for special projects. Love the brick wall texture, and the deep cable. What do you think? I'm not sure why this is in Honorable mentions instead of must knit. Maybe it need cuffs. Love the yellow and grey color combination. Picture says the rest! 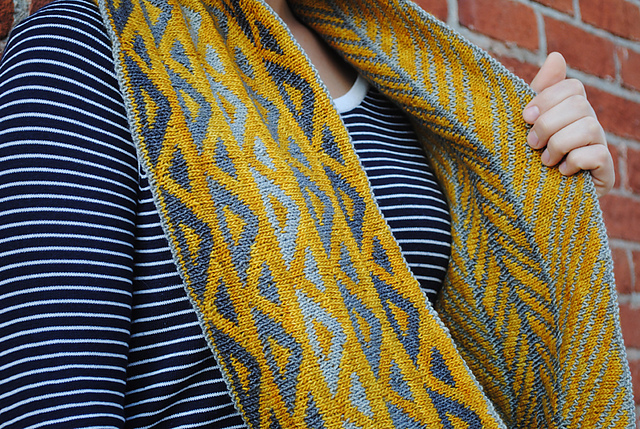 Use every scrap of yarn in this graphic shawl. This size means it can be worn as a scarf too. I love how the pattern is strong enough to hold up this self striping yarn. 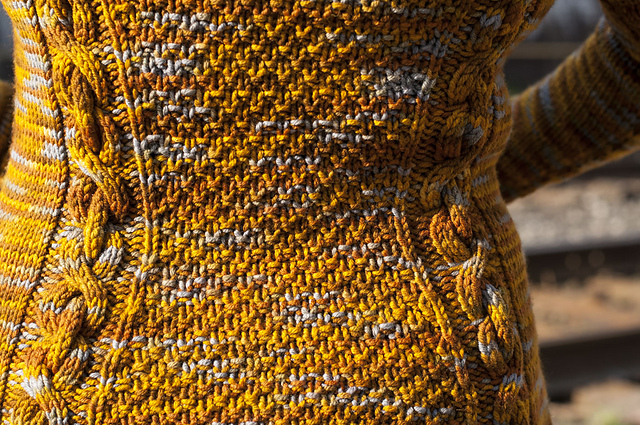 Color work like this bold sweater takes a courageous knitter. But what better way to showcase your skills? 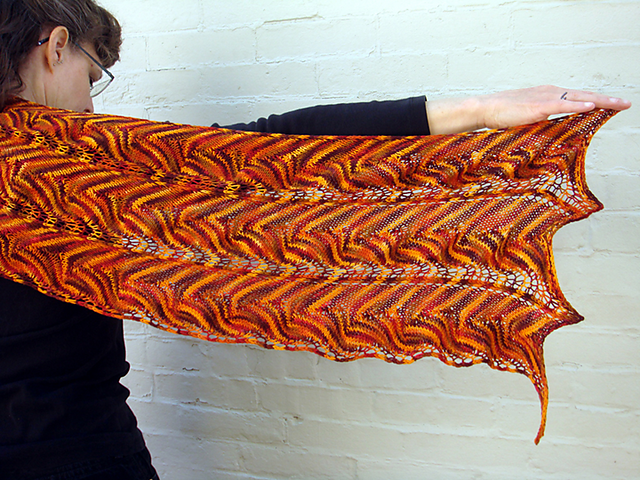 Check out all the other patterns at Ravelry, or start knitting at Knitty. Which is your must knit?